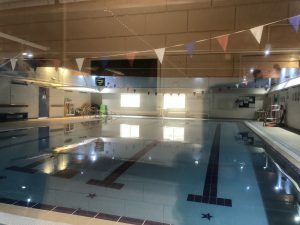 So here it is, the very last of the Saturday Spotlight interviews and very fitting it is too in light of my word of the year ‘inspired’ because this week’s guest represents an organisation, which is the absolute epitome of inspiration. Please welcome to the Lady Janey sofa, Peter Johnson from National Star, Cheltenham. Since its early days in 1967 with just 8 students in Ullenwood Manor, Cheltenham based charity National Star has been working to enable young people with disabilities realise their potential for over 50 years. But National Star is much more than just a charity. 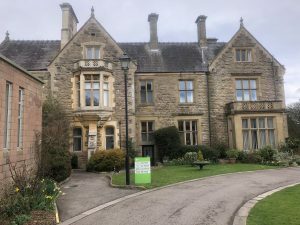 There’s a whole range of services on offer to support people with disabilities and each and every service is bespoke tailored to meet the needs of the individuals the charity supports. 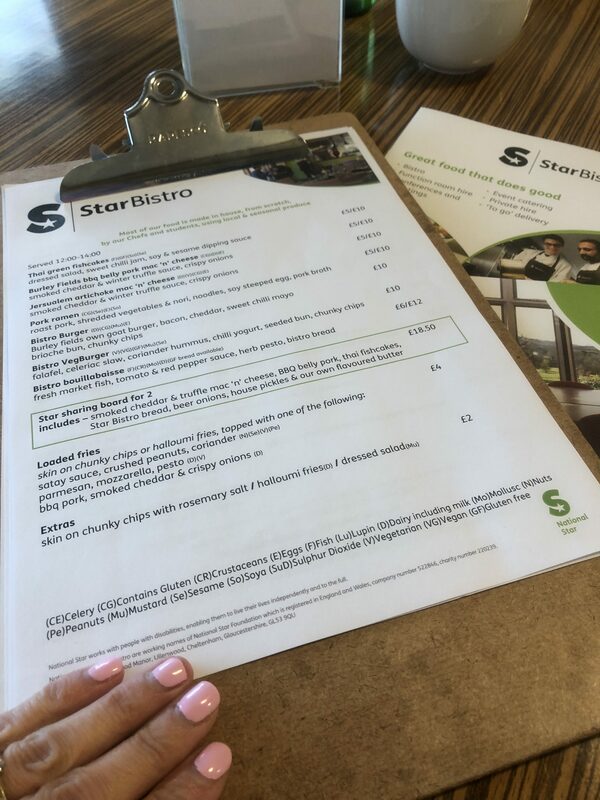 The award winning Star Bistro and Starprint provide the opportunity for young people to gain valuable work experience in a real work place environments so that they can build the confidence and skills for future employment turning their ‘potential into reality.’ National Star really values relationships with local businesses and the community actively encouraged to visit and make use of the facilities. 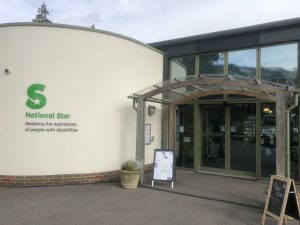 The layout has the feel of a University campus, which helps in preparing young people with disabilities for adult life so they can live and work, independently and this is what National Star is all about; achieving dreams and harnessing potential. In addition, just like at University, alongside operating as an ‘outstanding’ Ofsted college offering full and part time educational residential and day courses, every single activity you can think of is covered from theatre to music to sport. 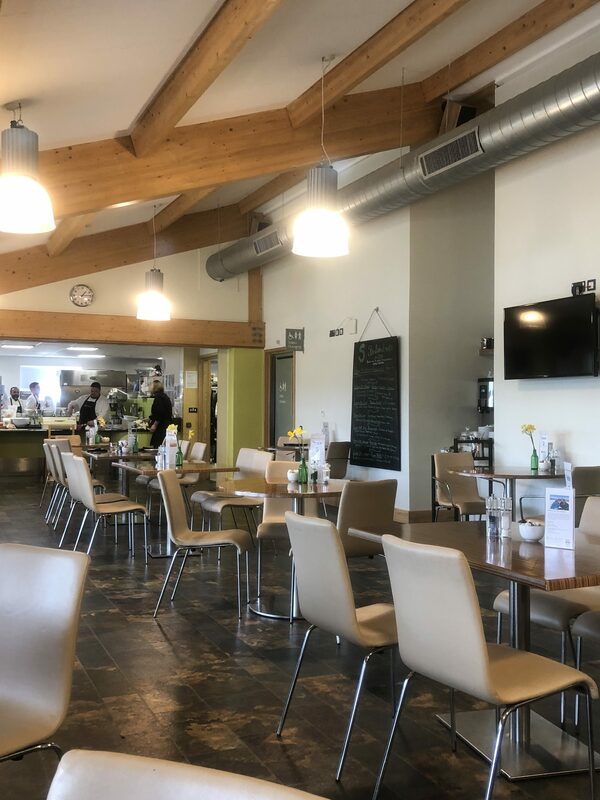 Alongside impressive facilities such as the fitness suite and swimming pool, there’s also a range of conference facilities available for hire along with Stargolf, the Star Bistro, Starglamping and the Online Star Shop. 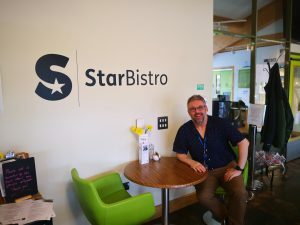 When I asked Peter about the best part of his job at National Star, he said quite simply ‘The student interaction.’ Peter is proud of how the charity advocates social enterprise and links outstanding students and their skills with sustainable business. 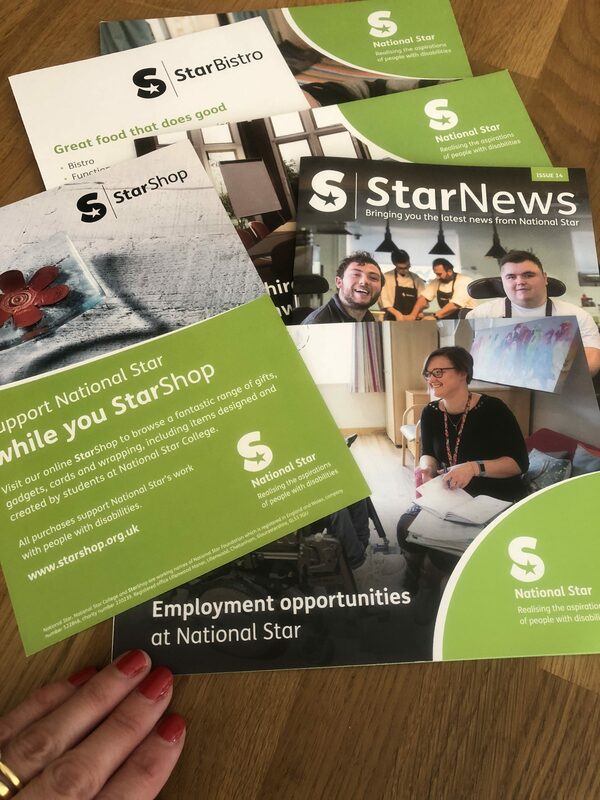 The real buzz of enterprise at National Star makes an invaluable difference to individual lives. During my visit I had the pleasure of being looked after in the Star Bistro by Josh and Lowrie and also had the chance to chat to another National Star star, Louise. We discussed the ‘Transferable skills learnt’ by the students working in the bistro with Louise highlighting in particular how students learn valuable Customer Service skills such as ‘Eye contact and how to engage with customers’ as they build confidence and progress on their journey. As a sterling example of one of the young disabled people the charity supports, Lowrie was pleased to tell me that she really enjoys ‘Meeting people.’ She was also able to beautifully serve one of the best lunches I’ve had in a good while. With skilled teams, highly trained professionals, a wealth of expertise, specialist facilities and a heartfelt commitment to the young people it supports, National Star is truly inspirational. If you would like to support the work of National Star, then there’s information as to how to do so on their website. The charity is also on Twitter, Instagram and Facebook. 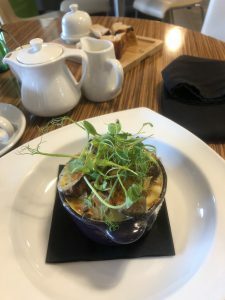 If haven’t been already, then the Star Bistro is ‘great food that does good,’ with exceptional service so definitely worth a visit! Thanks for Peter for chatting to me today on Saturday Spotlight, taking the time to show me around and for inviting me to try out the Star Bistro cuisine. Thanks also to all my guests who have taken part in this amazing series since its launch one year ago! It’s been a real pleasure get to know each and every one of you and I really hope we can stay in touch. All good things may come to an end but when one door closes, another exciting one opens so watch this space for what’s coming up next!